We have a dream and we want to make it happen! The 2020 Olympics are just around the corner and the Canadian Women’s Senior National Field Hockey team is the best it has been in the past three decades. Olympic qualification is within our reach. Since the beginning of 2018, our team has played 36 international matches including games against the top 10 world ranked teams — we have won or tied 33 of them. These matches against teams like top ranked Holland, China, New Zealand, Spain and Belgium have shown that we are competitive with the best teams in the world. In order to qualify for the Olympics, we will compete in the Fédération Internationale de Hockey (FIH) World League tournament in Spain and the Pan Am Games in Peru. Our recent performances draw us nearer to our goal, but our current financial situation is holding us back. In 2017, our government funding was withdrawn as our world ranking fell. However, in a catch-22, we are struggling financially to attend the competitions that would bring us back up in the rankings. Although we have devised several plans to alleviate the financial pressure, we now face the real possibility of not being able to attend either of the two Olympic qualification events. But we are committed to this goal. Our recent successes have largely been attributed to the centralization of the Canadian Women’s National Field Hockey team in Europe and the retention of a world class coach. In order to improve our team, the players are currently training in Belgium and the Netherlands as this allows us to compete in top quality European leagues and to train together as the women’s national field hockey team three days a week. As we train in Europe, we are building on a UBC legacy. For years, UBC has been instrumental in supporting our program. UBC has, in effect, been our training ground. Currently 11 of the 22 players on our Canadian team are UBC alumni. Among the alumni are Hannah Haughn — nominated ‘most outstanding graduating athlete’ in 2018 and five-time U Sports champion — and Lauren Logush, the 2014/15 UBC Rookie of the Year, to name a few. 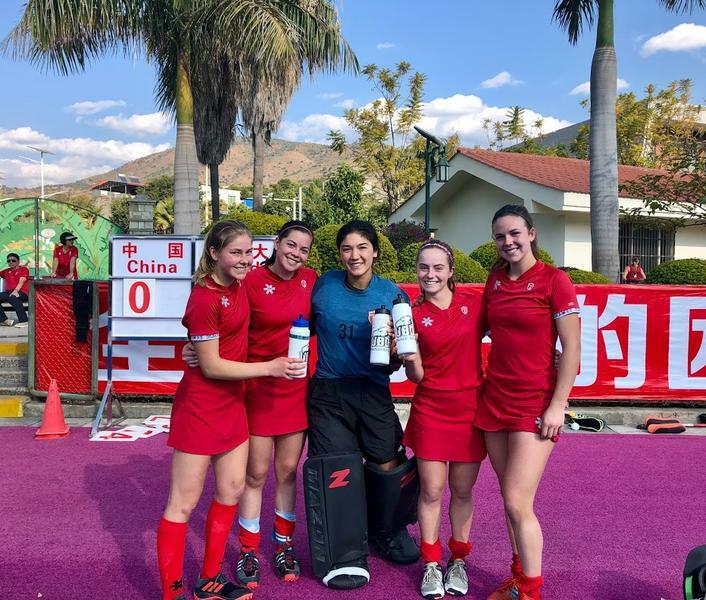 UBC continues to develop field hockey athletes in the current program with the likes of Margaret Pham, Sara Goodman, Jordyn Faiczak, Thora Rae and Izzy Fraser — all junior national athletes who have earned their first caps for the Canadian team over the past few years. The first Olympic qualifying event is the FIH World League Final tournament in Spain. This trip will cost approximately $75,000 and we are just over halfway towards achieving our goal through crowdfunding. This is the new reality of amateur sports. UBC’s field hockey program and community have been a foundation of the Canadian Women’s National Team and we would greatly appreciate your continued support. We now look to you, UBC, to help further our goals and to keep supporting UBC athletes. Please join the Wolfpack’s journey to help turn our dream of making it to the 2020 Olympics into a reality! Visit https://makeachamp.com/canwolfpack to follow our journey or make a donation.